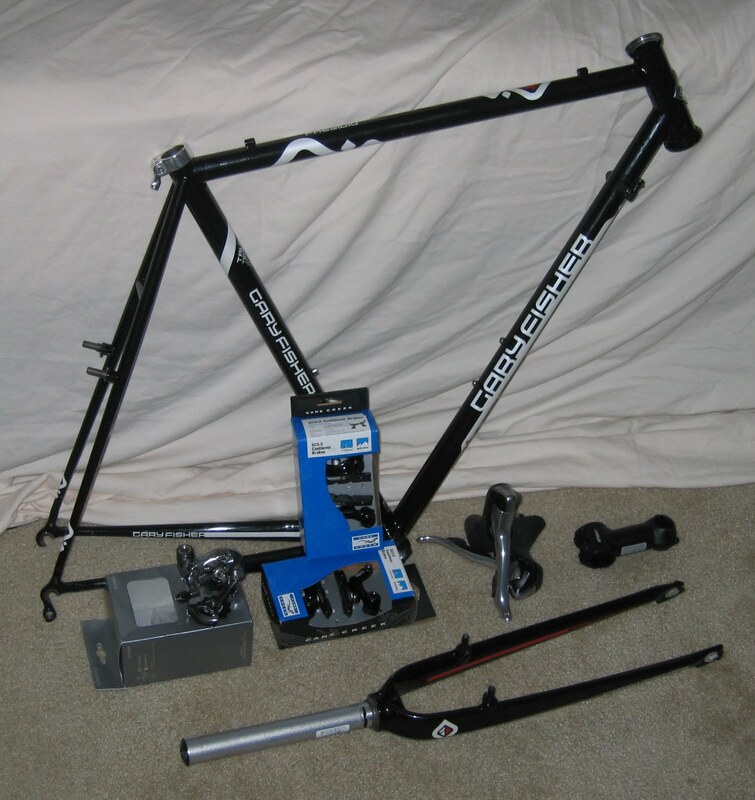 This is the 2009 frame and fork from a Gary Fisher Presidio. 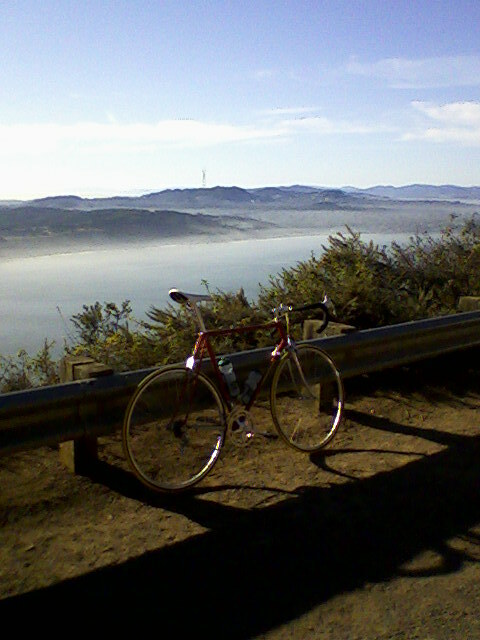 It has definitely seen a few miles based on the wear on the paint, but the frame looks good (it’s steel, so why worry?) and the fork doesn’t have any obvious points of concern. This came along with the frame. Not sure if I’ll keep it based on the reach and how things feel. It’ll be easier to tell once all the components are on the bike. Another component that came along with the frame. Don’t see any reason to switch this out. I will replace the bearings before I reseat everything though. This is acually the first component I got for this bike. 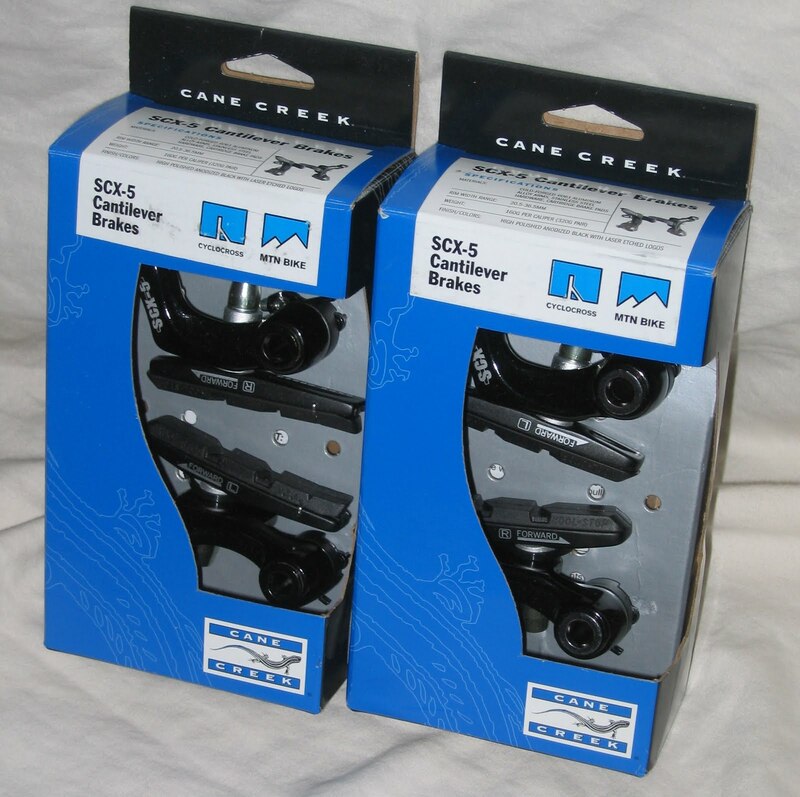 Knowing that STI shifters can be pretty spendy, especially if you want ultegra or dura-ace quality stuff, I had my eye out on ebay early for these. They’re slightly beat up, but the shifting feels good so these should do the job. Nothing to fancy, but they’ll do the trick. It’s cross, so it’s got to be cantilevers. Mud, here I come. 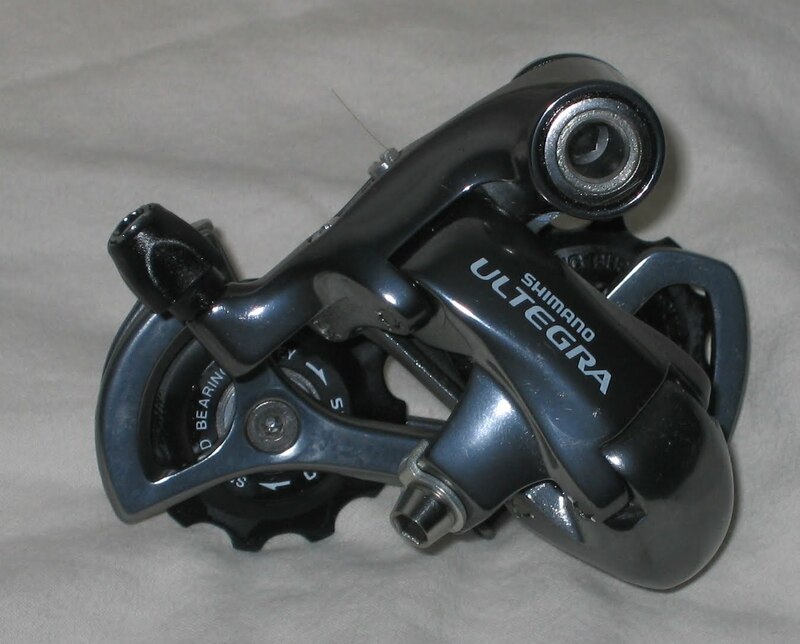 I already had the ultegra shifters, so I figured my best bet for compatibility would be an ultegra rear derailleur. Here it is. This is a component that I really needed a frame to decide on. I figured it’d be Ultegra, but whether it was braze-on or clamp-on and all those sorts of details kept me from deciding on this until just recently. I waffled back and forth on what to do here. I considered Phil Wood for a front hub, but defnitely can’t afford it for the rear: I may not have a mortgage, car payments or any kids (that I know of), I’m still a relatively poor postdoc. I should find cheaper hobbies. I considered using a Surly front hub I had, but I’d prefer quick-release hubs. So this combo seemed like the best option. Didn’t put a ton of thought into this one. I’ve had one on the rear wheel of my single speed commuter and it has taken a beating without any problems. These are the rims on the G-star. Solid rims, well made, easy choice. There are a few things that I’m assuming I’ll have, but still need to actually get them in my possession. These should be some combination of Wheelsmith, DT Swiss and Phil Wood double-butted spokes, depending on what I manage to grab locally. 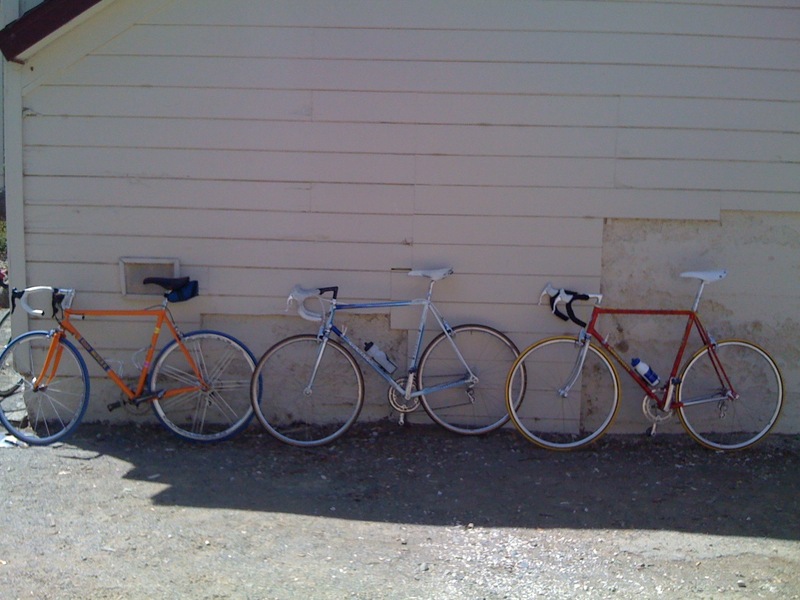 A friend has a slightly older 175 White Industries crank off an Hunter cross bike that is simply too long for him. It should make sense for me, so I think we’re making a deal on this, it simply has yet to happen (if I weren’t sick this weekend, it would’ve happened today probably). Not sure what bottom bracket is going to make sense with this. 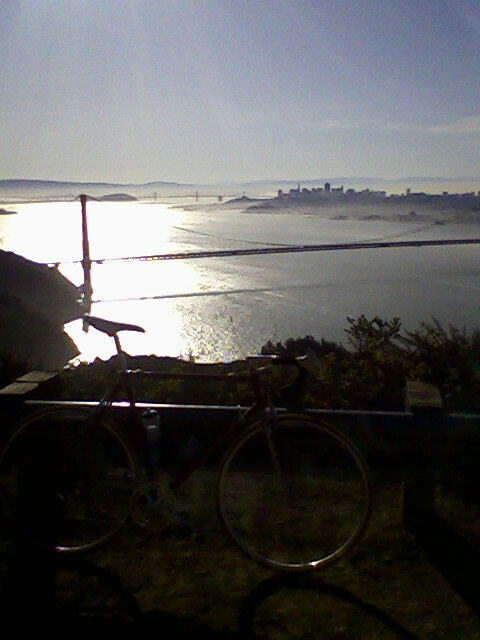 Still need to figure out what gearing makes the most sense for me on a cross bike. So cassette is yet to be determined. 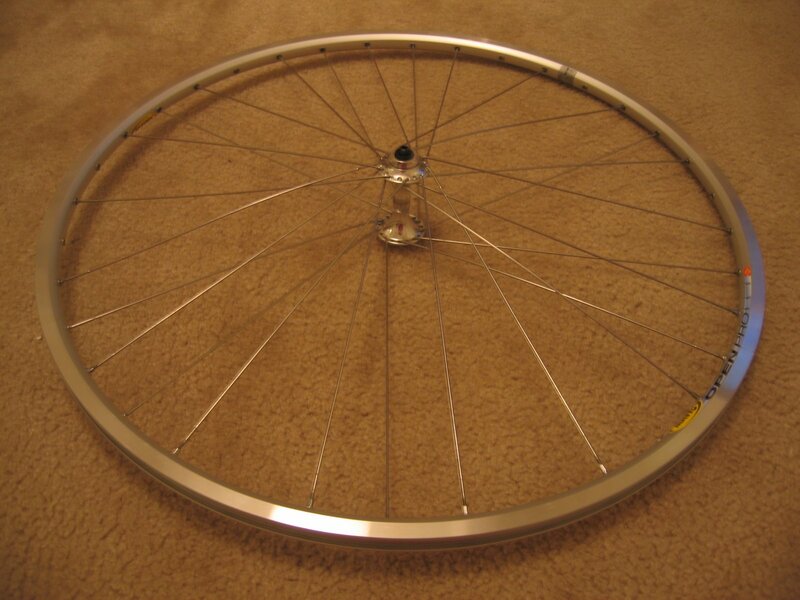 For the front wheel, I’m not as concerned with strength, so a 32 spoke wheel is in order. 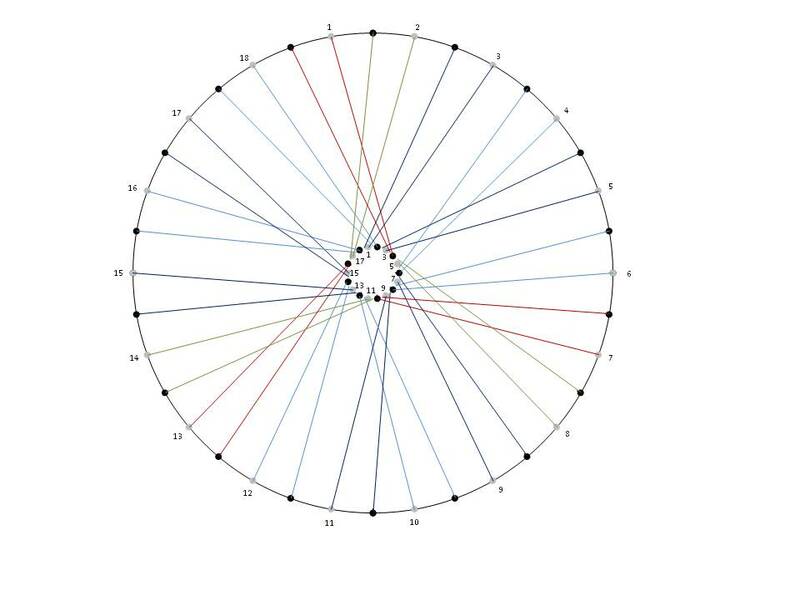 Unfortunately the symmetry options aren’t quite as nice (no 3 fold symmetries and so on), but if I’m going to build it, it better be something unique. So I did a variation of the front wheel from the Gstar. Giddy up. 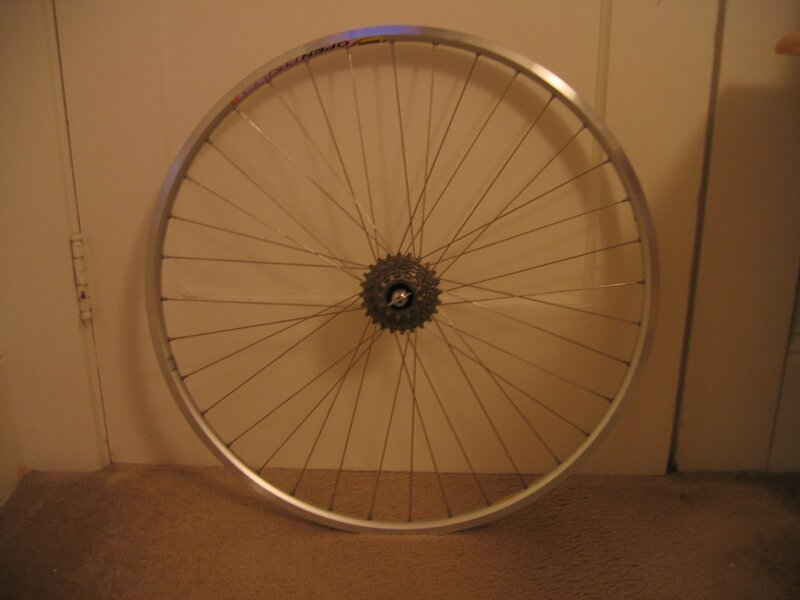 Still haven’t quite figured out the rim-hub combinations yet, but I’m thinking the front hub might be a 32h Surly that I bought with the intention of build it up for another bike (more on my other bikes to follow soon). Installing a bottom bracket is an interesting process of trial and error. It all comes down to aligning the chainline. 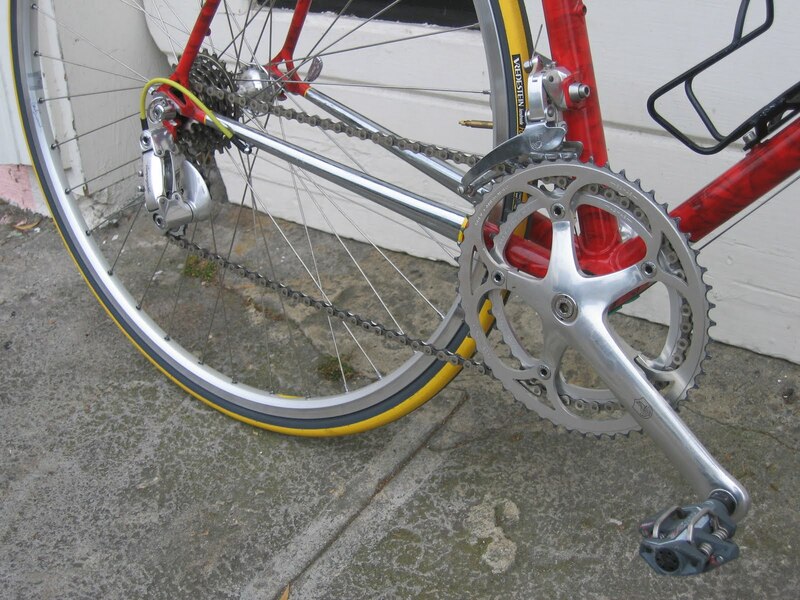 The basic idea being you want to center the freewheel in the back with the crank in the front. 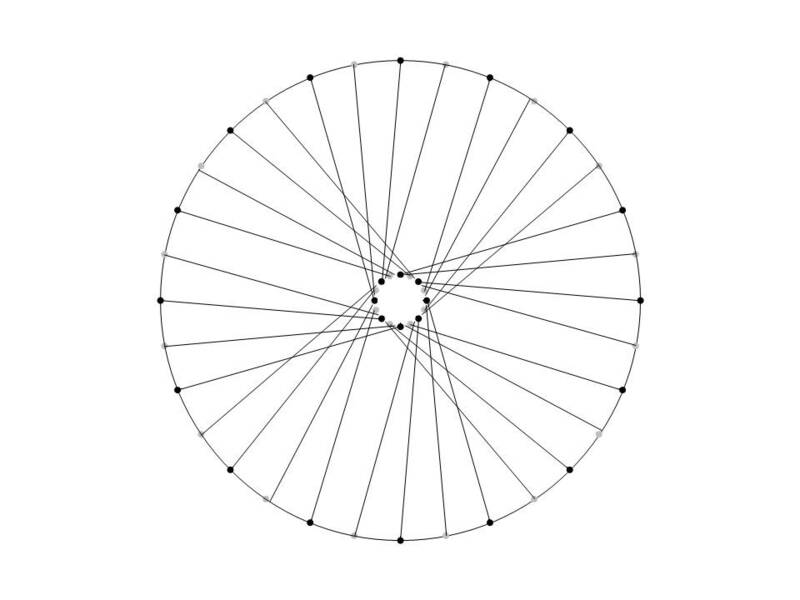 It’s easy to measure the alignment of the freewheel in the back, so it’s just a matter of getting the crank to line up. 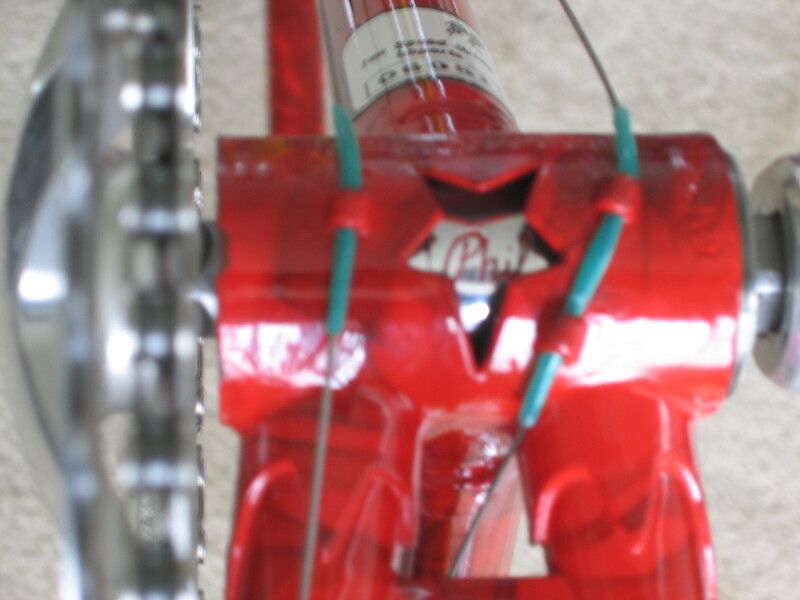 Generously apply Loctite to threads of the BB cups. Thread it back in using the measurement from step 7 to get the alignment right. Didn’t get a good picture until a bit later and a few more components were installed. Oops. 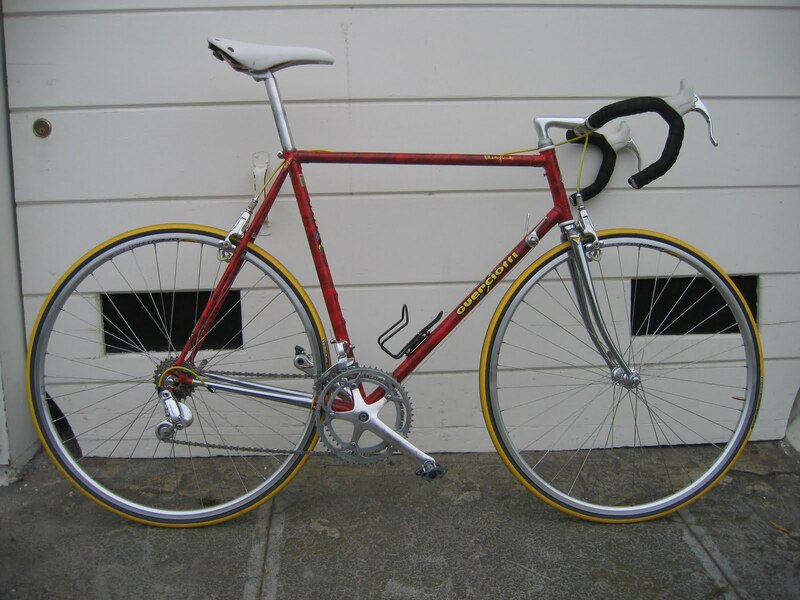 The italian frame adds an extra kink – both sides of the bottom bracket are threaded right-handed. 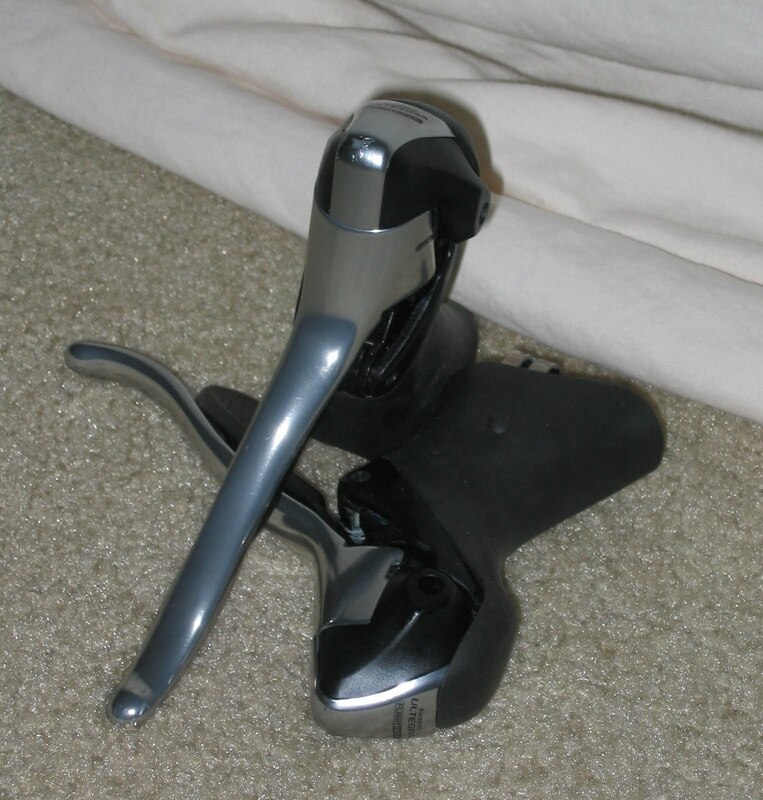 As a result, the left side has a tendency to unscrew itself. Less than ideal if you find yourself on a long ride. Best you can do is crank it down during the install and put Loctite on the threads. 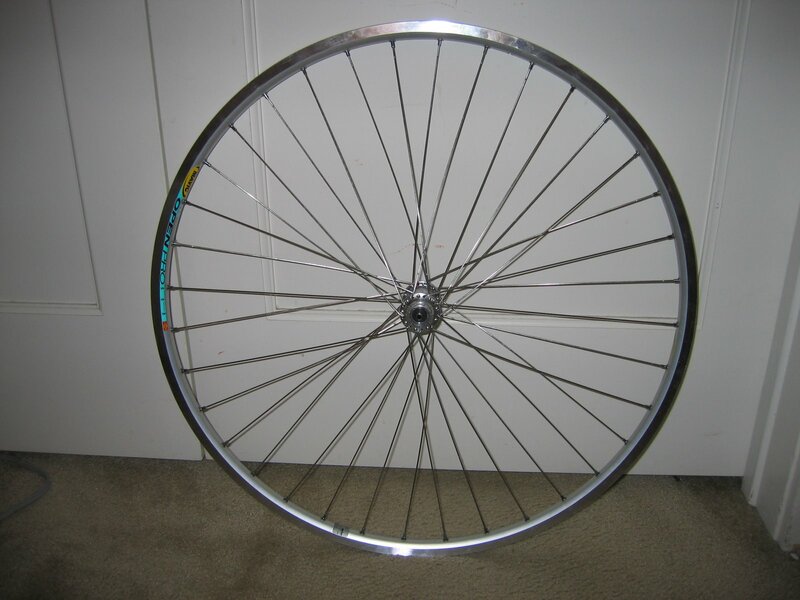 Why build bicycle wheels… Mostly pride, some necessity, but really mostly pride. When it comes down to it, why pay a professional to do it properly when you could screw it up yourself? Basically the motto of my life. With lots of experience fixing a pair of finicky wheels on a bike kitchen salvaged bike (The Green Monster), eventually I decided it was time to just start from scratch. 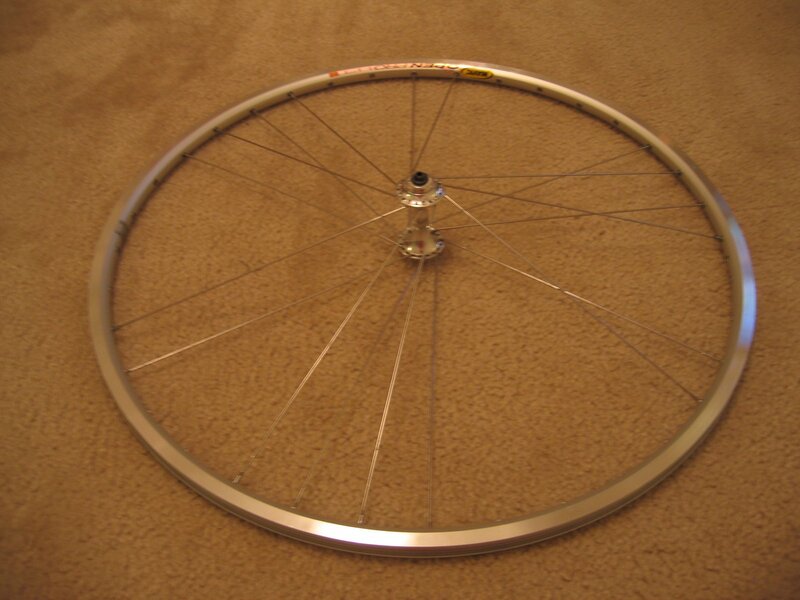 Which resulted in the first pair of wheels I (re)built. The result wasn’t great, but here’s my analogy: if even the greatest carpenter (Jesus) builds a house out of balsa wood, it’s probably still going to be pretty flimsy. Learning to build wheels is pretty fun, if not challenging and infuriating at times. Sheldon Brown describes it all, although I’ve recently gotten my hands on Jobst Brandt’s “The Bicycle Wheel”, which is also a great reference. 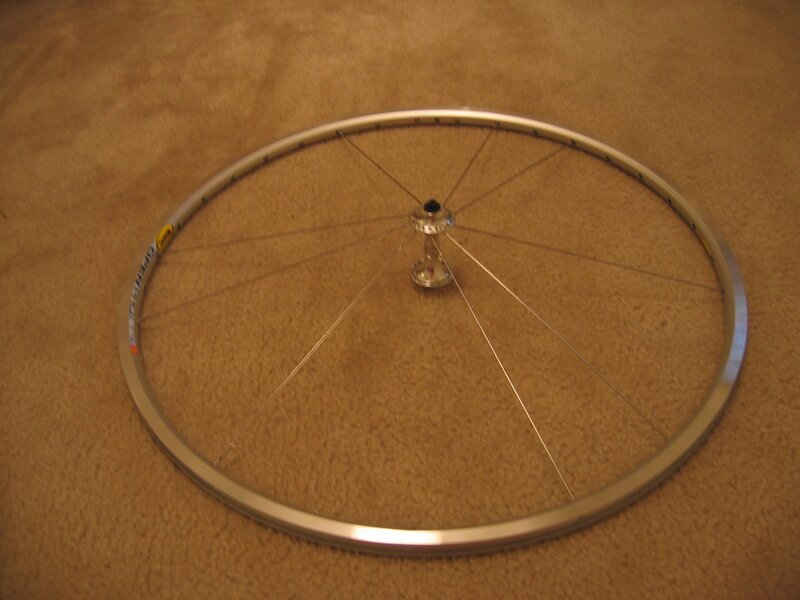 Between the two, lacing and building a “3-cross” wheel is a piece of cake. 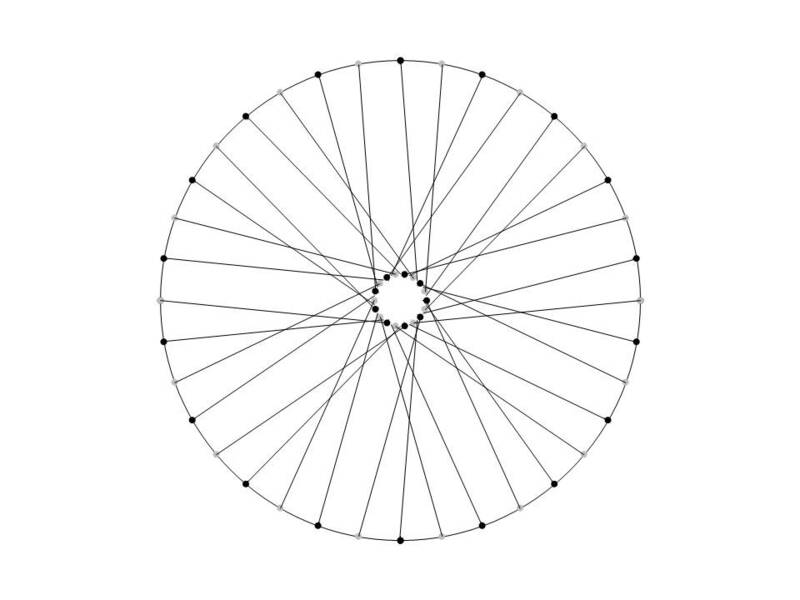 By piece of cake, I mean you will probably insert and remove the first and/or second rounds of spokes about 5 times until you actually do it the way it’s properly described. 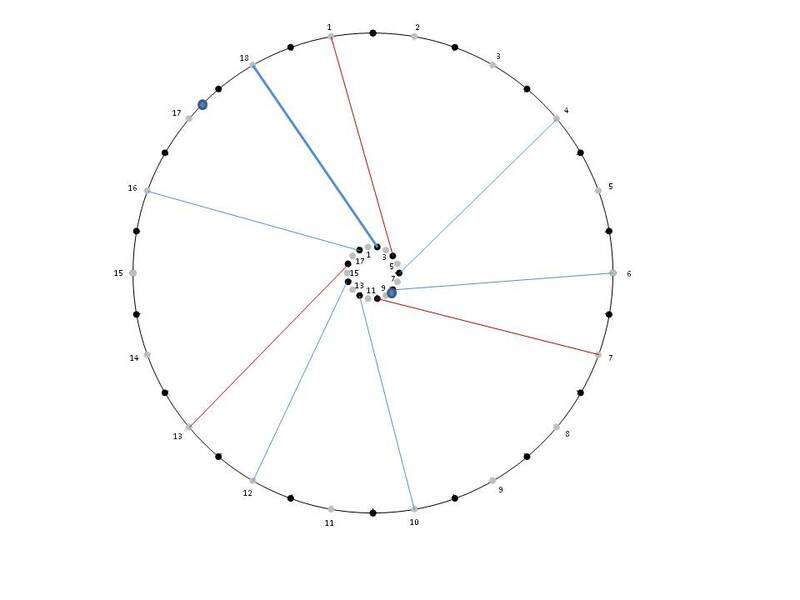 Standard protocol is to start with trailing spokes on the right side of the bike. The only thing you really care about at this point is getting the oil port on the hub (opposite the logo) on the side opposite the valve hole. From what I understand, traditionally this is for pro cyclists that lube their hubs with a lighter oil when they have an important race or are trying to set best times. This alignment helps keep oil from dripping all over the valve hole. One of the many following aspects I didn’t do a particularly good job documenting… mostly because nothing too interesting happens. I can only stress, nothing will teach you how to true wheels better than having a useless pair that continuously needs truing. Beyond the advice in Sheldon’s article, I can’t say I have too many secrets on this. Possibly more on this if the wheels are really good or bad at staying in true. You are currently browsing the archives for the buildup category.